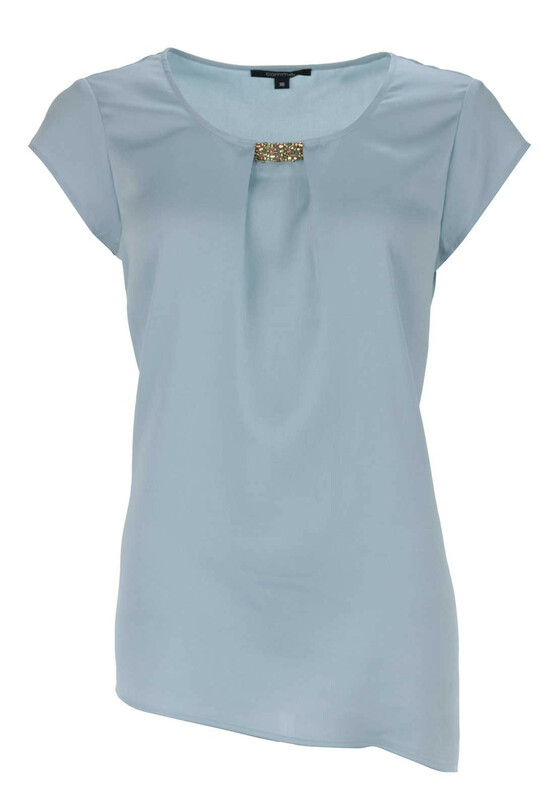 Boost your wardrobe separates with this charming pale blue top which would be a lovely choice to wear to work or team with jeans to create an off-duty outfit. 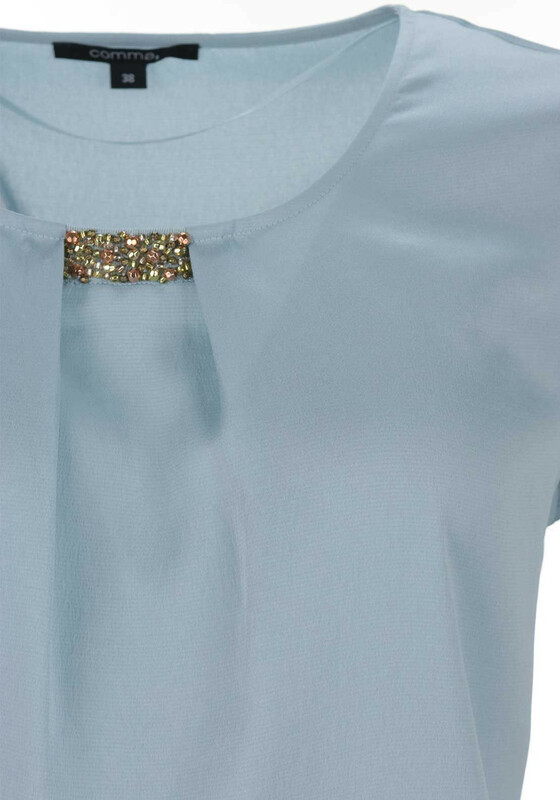 Made from lightweight satin fabric with a bead embellished trim at the round neckline. 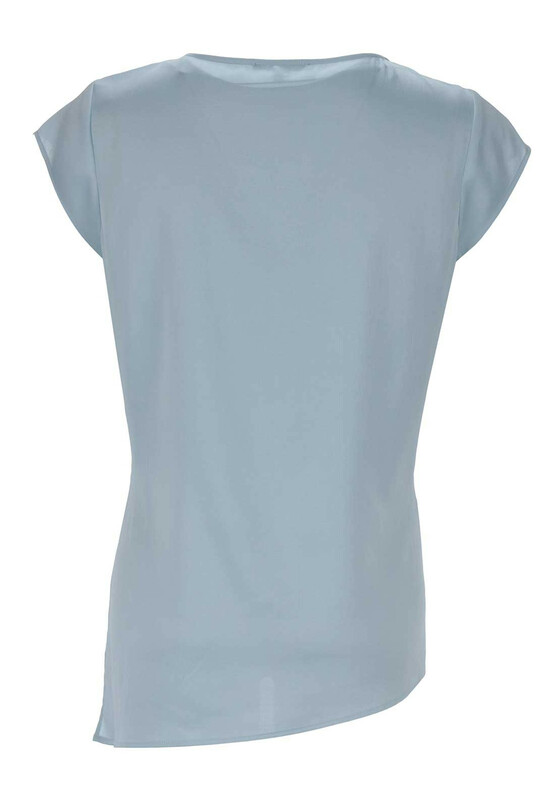 Styled with a slightly relaxed fit and asymmetric hem.